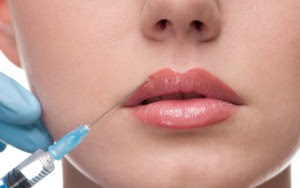 A registered nurse in Perth, Australia, Tiffany Fraser thought she could start a cottage industry, injecting clients with Botox and Juvederm in the privacy of her home. ABC News, Australia, December 10th, reports that this is the first small business of its kind detected in Australia. Fraser is now being investigated by the West Australian Health Department and her clients are being tested for blood-borne viruses. After investigating Fraser’s home, health officials were not able to rule out the risk of a possible infection control breach – a breach that could expose Fraser’s clients to hepatitis B, C and the HIV virus. Fraser had 33 clients known to the authorities; they were all notified that they should be tested by their general practitioners. The Australian Chief Health Officer, Dr. Weeramanthri, makes this point: “If you go to your local doctor and get an injection, it has to be sterile, the skin has to be cleaned, and a new needle and new syringes have to be used. There’s a whole system built around making sure that one person’s blood isn’t making contact with another person.” Outside of a medical setting there are no guarantees that such a system exists. RN’s like Fraser are not allowed to administer or prescribe these injections in Australia without a doctor’s supervision. Both Botox and Juvederm are prescription only and must be prescribed by a doctor. Weeramanthri further argues that a normal healthcare practice has a whole lot of safeguards, including emergency measures to save you if you have an allergic reaction. Other dangers of getting cosmetic injections in an inappropriate setting include being injected with a lethal or dangerous substance, getting no results, or getting poor results, such as a droopy lid or a bruised appearance. Aside from safety concerns one needs sophisticated anatomical training and experience to know where and how to inject Botox. Hopefully, publicity around this event will serve as a reminder to get cosmetic injections in an appropriate medical setting by a practitioner who is board-certified in an appropriate specialty. A Practical Guide to Botulinum Toxin Proceduresis one of four books in the new Cosmetic Procedures for Primary Care series. This series offers guidance to primary care practitioners who wish to expand their practice to minimally invasive cosmetic procedures. Whether the physician is just getting started or well versed in aesthetic medicine, this series can be used as a routine quick reference for current aesthetic procedures that can be readily incorporated into office practice. The series will put these cosmetic treatments into the hands of the physician the patient knows and trusts the most, and will bring primary care practitioners increased autonomy, improved patient satisfaction, and added reimbursement. 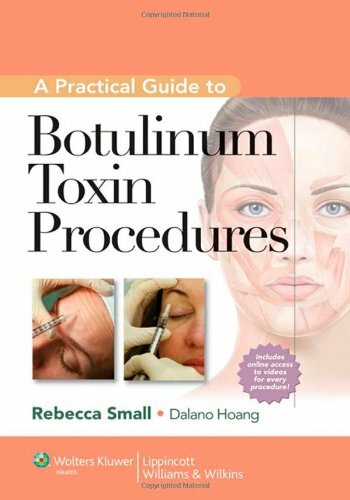 This book provides thoroughly illustrated step-by-step instructions on botulinum toxin injection procedures and advice on managing common issues seen in follow-up visits. Each chapter focuses on a single procedure and reviews all relevant anatomy, including target muscles and their functions and muscles to be avoided. Injection points and the injection Safety Zones are highlighted to help practitioners perform the procedures more effectively and minimize complication risks. 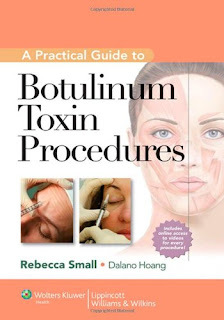 Initial chapters cover treatment in the upper third of the face for frown lines, horizontal forehead lines, and crow's feet—procedures suited for practitioners who are getting started with cosmetic botulinum toxin treatments. Subsequent chapters cover more advanced face and neck procedures and treatment of axillary hyperhidrosis. 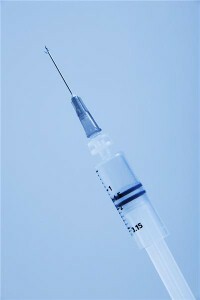 For years the brand name Botox was synonymous with wrinkle removal via injection. Unlike soft tissue fillers such as Juvederm, Radiesse and Sculptra Aesthetic that add volume to skin depressions, Botox blocks the release of a chemical called acetylcholine which triggers the muscle contractions that create wrinkles. "Not only does Botox alleviate the grinding but it also loosens up the jaw area giving the face a more oval look which gives it a more youthful, softer appearance." Never mind wrinkles - a blob of Botox on your nose could banish hay fever, too.. 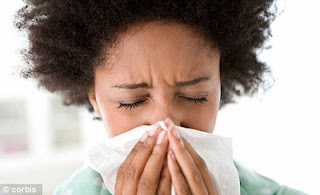 It's hoped that the botulinum toxin will affect the nerves in the nose and potentially block some of the chemicals released by the nerve endings which play a large role in causing hay fever symptoms. To try and treat the allergy, the Botox molecule has been re-engineered to be able to penetrate through the skin but also through the lining of the nose. Philip Bardin, a professor at the Monash Medical Centre, said Botox was already widely used in medicine to reduce spasms in muscles following strokes and in treating cerebral palsy. Botox, which makes muscles relax, is a purified form of a nerve poison. It is produced by a bacteria that causes a disease which paralyses muscles. Seventy people will be recruited for the new study following a preliminary trial that suggested the drug provided relief. Last month it was announced that hay fever relief may also come in the form of a jab. A new vaccine that promises lasting relief for sufferers is being developed, amid fears that the pollen season could go on six weeks longer in future due to global warming. British scientists behind the project say it could help control symptoms of grass-pollen hay fever with several injections over the course of just a few months. An existing vaccine requires a course of injections lasting several years and benefits only 1,000 people a year. Both vaccines are based on similar technology, but immunologists have now discovered that injecting closer to the skin’s surface is far more effective than the current method. Increasing numbers of women are suffering disfigurement as result of botched cosmetic filler injections. Surgeons have reported a sharp rise in the number of cases of complications arising from the skin procedures, marketed as way to achieve younger-looking skin without going under the knife. The injections are used to plump up the skin, to fill in wrinkles and crows' feet and to create fuller cheeks and lips. In recent years, their popularity has soared as their costs have dropped, but experts fear the lack of regulation of their safety means the beauty industry is facing a "ticking timebomb" as the risks from the procedures emerge. Research carried out for the Daily Mail has found that more than two thirds of British plastic surgeons have been consulted by patients whose injections had gone wrong. Three years ago, just one quarter of surgeons polled by the British Association of Aesthetic Plastic Surgeons (Baaps) had seen such cases. 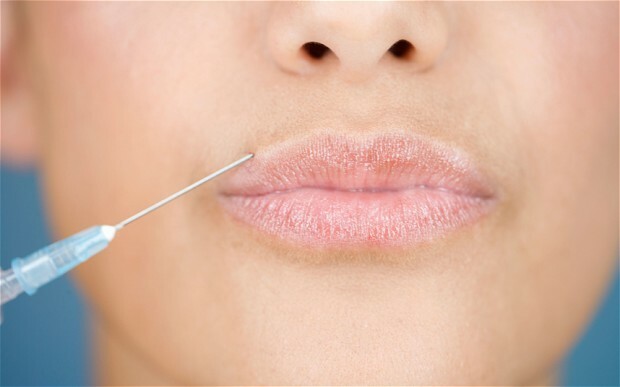 This year, half of doctors who had seen botched filler injections had seen the most serious complications, which arise when permanent fillers are at risk of rupturing in the body, and usually require corrective surgery. Plastic surgeons - who rarely administer the injections, but often end up dealing with their complications - fear that the safety risks could result in similar consequences to the scandal surrounding PIP implants. The fillers are unregulated and can be administered by anyone who has completed a half-day course. Temporary fillers, the most commonly used, are usually made of an acid, which is found naturally in the human body, while permanent fillers are riskier because they are made of a synthetic material, similar to breast implants, which can be removed only by surgery. Side effects range from infections, swelling and bruising, to inflammation of the deeper skin tissue causing lumps and permanent scarring. 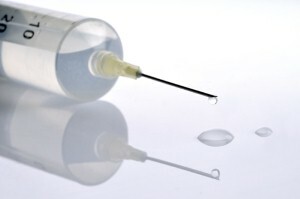 In rare cases vision has been impaired by injecting near the eye. Many of the plastic surgeons, who rarely administer fillers but see patients who experience problems, said they felt people were unaware of the risks involved. 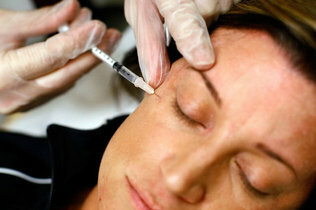 Concerns have also been raised about untrained hairdressers and beauticians injecting fillers. MP Nadine Dorrie has just admitted that she has used the injections, which plump the skin, as well as Botox, which freezes the muscles, slowing the progression of wrinkles. In an interview after she left the jungle in the ITV show I'm a Celebrity Get Me Out of Here, she said: "I've never been aggressive with it, but I do use Botox and things. I don't see any harm, millions of women do it." "Holding back the years is OK once you get to a certain age." Under EU legislation, fillers are not medicines but medical devices which require a only CE kitemark to be sold, meaning they meet the requirements of EU legislation and do not have to undergo scientific tests. The Government has launched an inquiry into the marketing of cosmetic procedures following the PIP scandal, led by NHS Medical Director Sir Bruce Keogh, which will include skin fillers. Baaps is calling for tougher European standards for fillers so they are classified as medicines, which is the case in the US. Rajiv Grover, president of the association, which carried out the poll of 200 surgeons to which 60 responded, said: "The growing popularity of these non-surgical treatments has clearly led to complacency regarding how they are performed and by whom." Mr Grover said it would be surprising if anyone could still argue that the fillers should not be reclassified as medicines, and subject to more stringent regulation. James Frame, a consultant and professor of aesthetic plastic surgery at Anglia Ruskin University, called for more rigorous training for practitioners and a crackdown on irresponsible advertising. He said: "The popularity of fillers has gone through the roof. If it goes wrong, you can get atrociously bad reactions. The site can become infected, or it can affect the deeper tissue. "There was one case where it eroded a woman's upper lip." Did you know that there are two types of wrinkles? Dynamic wrinkles are caused by constant use of facial muscles leaving a line where the skin creases. We all get them, but in some people they’re very evident. Static wrinkles are the deep lines that remain visible on your skin even when your face is at rest. Dynamic wrinkles occur in people of all ages as the muscle contraction caused by the smile or frown causes the overlying skin to crease. Static wrinkles tend to develop in skin that has thinned and stretched as a result of premature or natural aging processes. All wrinkles become more obvious when you smile, frown or raise your eyebrows, because the collagen that plumps up skin has diminished, and the elastin that makes skin flexible has lessened. The skin has sagged and collapsed in the areas wrinkled by expression. Anti-wrinkle injectables target dynamic lines and wrinkles directly, as the muscle is injected with a purified protein that stops the contraction, relaxing it. The overlying skin is relaxed too, so the constant creasing doesn’t occur. Your face looks smoother, bright and younger. 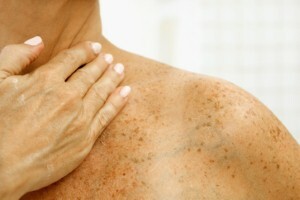 Skin changes as we age; it becomes thinner, loses fat, and longer looks as plump and smooth as it once did. How your skin ages depends on a variety of factors including your lifestyle, diet, heredity, and whether you smoke or not. 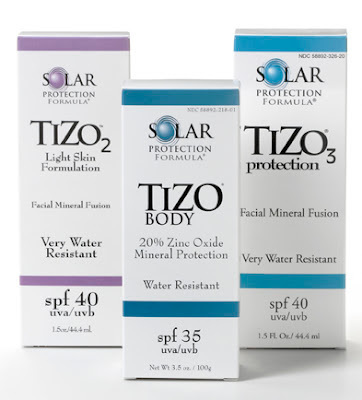 Hyaluronic acid (HA) is a naturally occurring substance in your skin that helps provide fullness and elasticity. As we get older, HA diminishes; our skin loses volume and we see increased folds and wrinkles on our face. Advances is medical and cosmetic technology mean we can now substitute the body’s HA, making up for the lack of it by injecting a synthesised form identical to the hyaluronic acid our body would make. 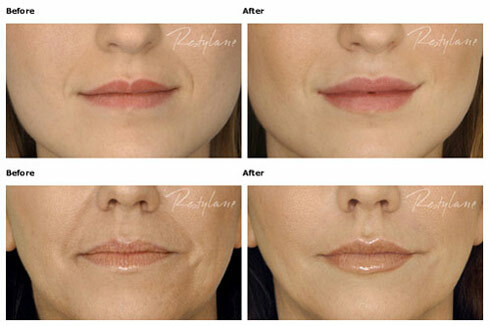 Restylane is one such dermal filler; tried and tested, and highly effective. It’s used to correct moderate to deep wrinkles, particularly around the mouth and lower face. It adds volume and fullness in areas like the lines running between your nose and mouth (nasolabial folds) and wrinkles around the borders of the lips-a familiar sight for smokers. When Restylane is injected into or below the skin it lifts wrinkles, depressions, or scars so that they are level to the surrounding skin. Think of it like a thin jelly that would flatten out if you put it on a plate. It’s completely absorbed within about 24 hours and works to restore lost volume, plumping up the lines where the skin has collapsed. Looking for Wrinkle Injections ? Is George Clooney’s girlfriend having secret line and wrinkle injections? George Clooney’s girlfriend Stacy Keibler has allegedly been having secret Botox injections. According to Showbizspy, the actress and model has been using injectables to stay looking youthful and keep ageing lines and wrinkles at bay. However, instead of getting her boyfriend’s seal of approval regarding the treatment, the report claimed Keibler has been going behind Clooney’s back because he hates it when women have plastic surgery. “For a while now, she’s been sneaking around behind George Clooney’s back and getting Botox treatments,” a source told the online gossip magazine. Neither Clooney or Keibler have commented on the rumours, so for the moment it seems as though they are merely speculation. Botox is a popular line and wrinkle treatment in the UK that works by relaxing the muscles in the face that contract to cause lines and wrinkles. There is one thing most presidents have in common at the end of their first terms: more gray hairs. The graying of the Commander-in-Chief is symbolic of the stress associated with being top dog in the world's most powerful nation. However, research shows that psychological stress does not, in fact, impact the color of one's locks. 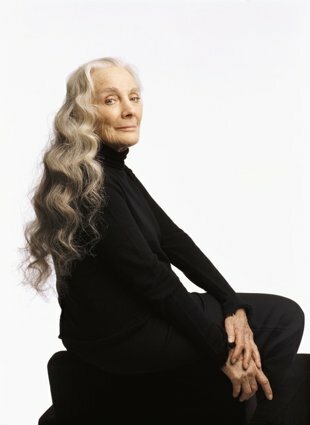 everydayliving™: Why Does Hair Turn Gray? Skin Care Chronicle: The Body Shop Canada -online offer: Save up to 40% off your entire purchase at The Body Shop, Nov. 1st through Nov. 14th! The Body Shop® offers a full assortment of naturally-inspired products, including bath & body, men's and women's skincare, and creative gift ideas for a variety of occasions. 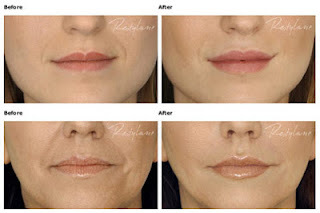 All lip injectors are not the same ! Not all skin spots are the sameAccording to Elle magazine, September 2012, in the United States, we are very devoted to moisturizers and collagen-boosting serums, but our demand for brown spot lightening is steadily rising, especially since publication of a 2006 study, indicating that hyperpigmentation can impact on a woman’s perceived age by up to twenty years. HOUSTON - An accidental medical discovery can make the effects of Botox last 30 percent longer, according to a Houston doctor. Many people know Botox as a beauty enhancer that erases age lines and leaves the skin looking smooth and youthful. But for thousands of people, it is a sanity saving treatment for very real medical conditions. Wesley Paulk said he could hardly drive, work or even see because of his severe eye spasms. "I went with my eyes taped open. I took medical tape and taped my eyelids to my eyebrows," Paulk said. "They'd get to spasming so much and blinking that I couldn't control them, and they would shut and I couldn't open them." Diagnosed with blepharo disease, Paulk has spent the past decade visiting Dr. Charles Soparkar, an ocular plastic surgeon and biochemist, for Botox treatments four times a year—but not anymore. "I'd get it every two to three months now, with the new pull Zytase, I get it every five to six months." After noticing some patients are not as receptive to the Botox, a resident suggested to Dr. Soparkar that it could be their diet, prompting him to look at the molecular level. "All the Botulinum toxins are zinc dependent—metalloprotease—meaning they require zinc to work, meaning no zinc, they don't work," Soparkar said. He said about 50 percent of the population is zinc deficient so he wondered what would happen if he "gave people zinc before their toxins." He combined a high dose of zinc with a phytase enzyme and Zytase was born. 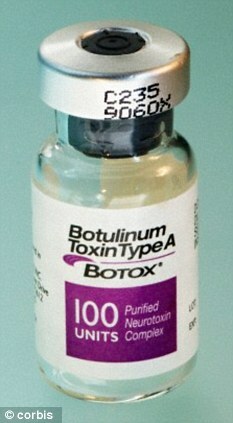 The drug is taken four days before the Botox treatment is administered and on the day of the treatment. The new and very positive side-effect of getting zinc levels under control allows for Botox's effects to last longer, meaning fewer shots and less money spent. "Ninety-two percent of people in our study an increase in our effect," Soparkar said. It even worked for Karin Williams, who was just using Botox for a fresher look. "Every four months was my routine, for eight years," Williams said. "I started taking the Zytase and noticed I could stretch it out to six months or eight months." Soparkar said because the zinc is only taken right before the injections, you don't have to worry about getting too much of the chemical. Zytase is prescription only and some insurance companies are paying for it before medical Botox treatments. 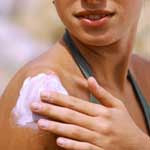 It is said that the best anti-aging product on the market is sunscreen, but this only holds true if you actually use it. Therefore the best anti-aging sunscreen is the one you are willing to apply daily. If you don’t like the way your sunscreen smells or feels when applied, the chances are you aren’t going to wear it as often as you should. This is especially true on your face, which receives the most direct sunlight over time. Atlanta Plastic Surgery is hosting an open house at their Northside practice (975 Johnson Ferry Road, NE, Suite 100, Atlanta, Georgia 30342) from 6-8 pm on Thursday, February 2nd to educate patients of Ulthera® treatment’s cosmetic benefits. The event is free to attend and will feature a question and answer session with a licensed Ultherapy representative and consultations for the treatment with Atlanta Plastic Surgery practitioners. Attendees will receive a $500 discount on Ulthera® as well as entrance into a raffle for a chance to win a customized Obagi Nu-Derm® kit worth $400. Interested parties are asked to RSVP to (404) 256-1311 extension 230 or 250. About Atlanta Plastic Surgery, P.C. : Founded in 1968 by breast reconstruction pioneer Dr. Carl Hartrampf, Atlanta Plastic Surgery (APS) houses seven board certified plastic surgeons by the American Board of Plastic Surgery. The APS surgeons perform an array of aesthetic and reconstructive procedures of the face, body, and breast. Breast reconstruction procedures performed by Atlanta Plastic Surgery’s doctors include: facelift, eyelid surgery, forehead lift, rhinoplasty (nose surgery), neck lift, otoplasty (ear surgery), and wrinkle reduction via fat transfer. To learn more about the physicians and services and Atlanta Plastic Surgery’s Sandy Springs, Alpharetta, and Newnan locations visit atlplastic.com. About AYA Medical Spa: Owned and operated by the physicians at Atlanta Plastic Surgery, P.C., AYA offers medically-approved skin care treatments and products from a highly trained staff of estheticians, nurses, and physician’s assistants. AYA’s services include cosmetic injections (Botox® and Juvéderm®), laser hair removal, wrinkle reduction, skin resurfacing, and acne treatments. To learn more about AYA’s Newnan, Phipps Plaza, and Northside locations visit ayaskincare.com. Katie Price has revealed that she has regular Botox injections not because she thinks she needs it, but “because everyone else has it done”.